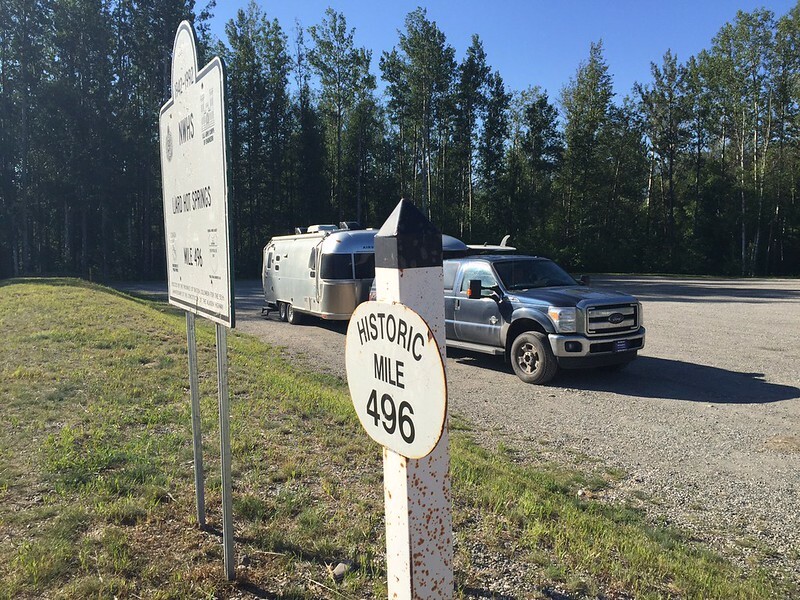 Day 1 – Jasper, Alberta to Dawson Creek, BC. Our first stop after nearly a full day of driving from Jasper was Grand Prairie, Alberta. By the time we got there we had already driven 250 miles and were ready to stop for the night. One of our Instagram followers is from Grand Prairie and contacted us a few weeks ago about the Eastlink Centre. 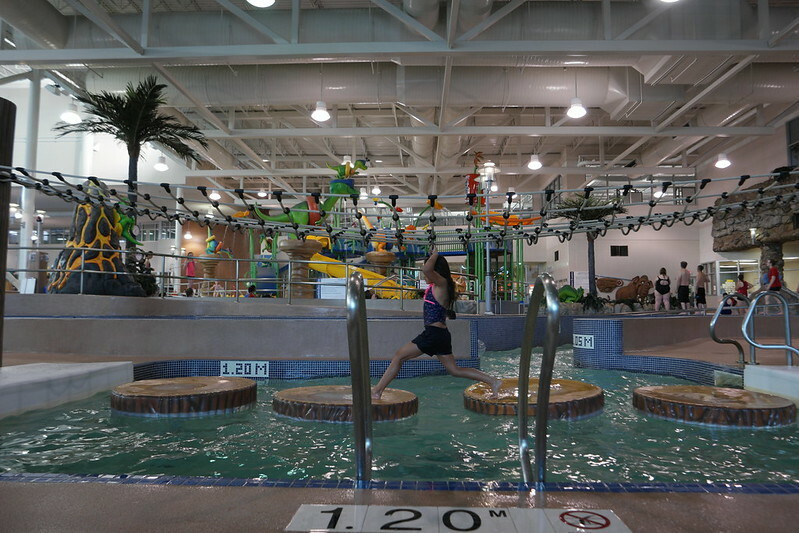 She works at this massive municipal complex that includes a huge aquatic center that rivals some of the biggest indoor water parks we’ve ever seen. 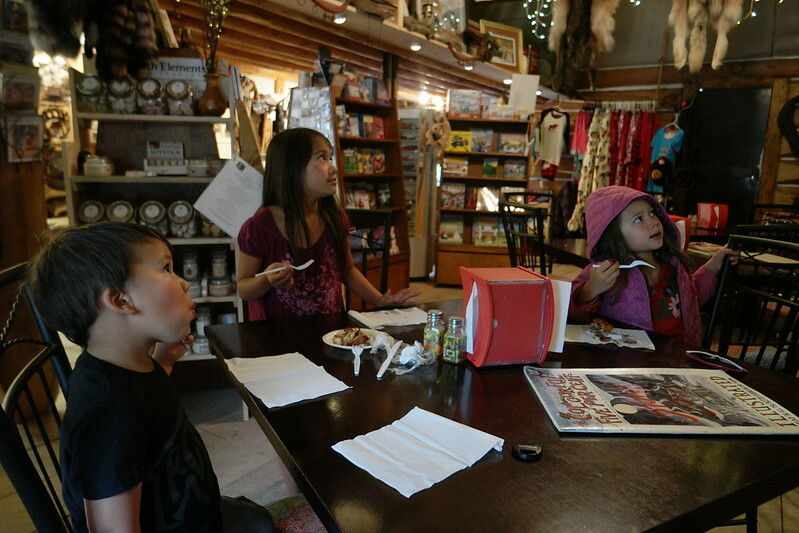 She graciously set us up with free passes and the kids were thrilled to be able make this our afternoon stop. This complex is so massive that we could have stayed here all week. 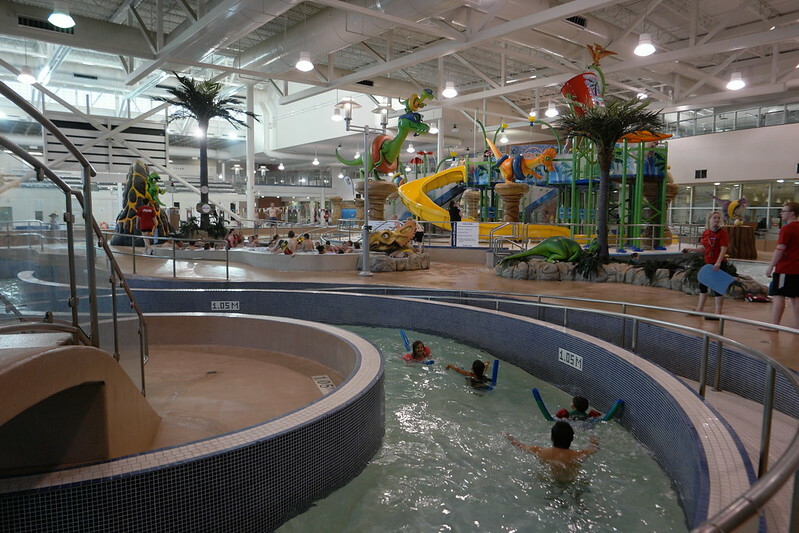 Just in the aquatic center has several multi-story tall water slides, a lazy river, an Olympic-sized swimming pool and even a WaveRider for standing wave surfing. After a 3-hour stop at the Eastlink Centre we were noticeably more prune-y and less road weary. 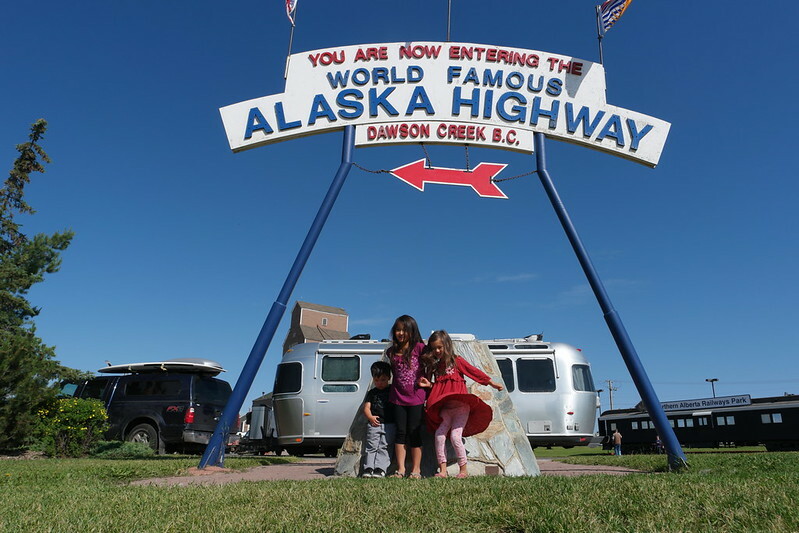 With only 80 miles between us and the official start of the Alaskan highway in Dawson Creek, we decided to make it all the way there before we call it a day. Dawson Creek (as opposed to the TV show, Dawson’s Creek, which is located in North Carolina) is just across the border from Alberta in the province of British Columbia. 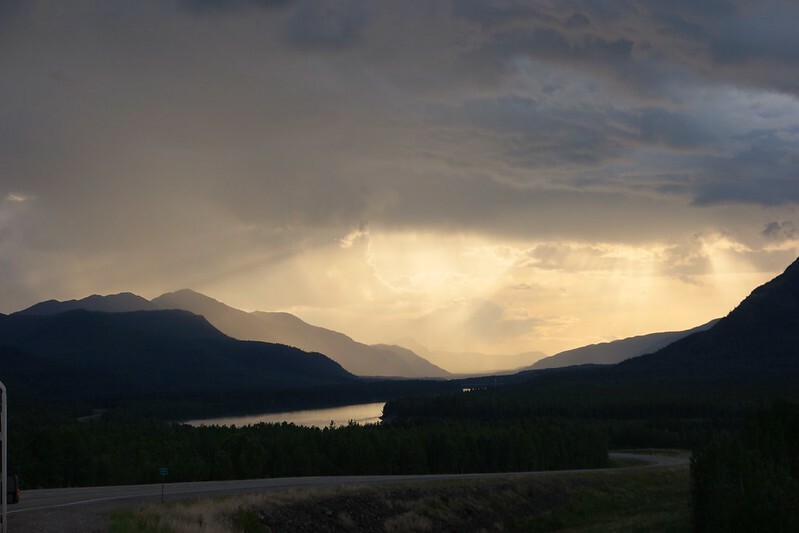 We will be cutting across the northeastern corner of British Columbia before making our way into the the Yukon Territory to continue our way into the state of Alaska. 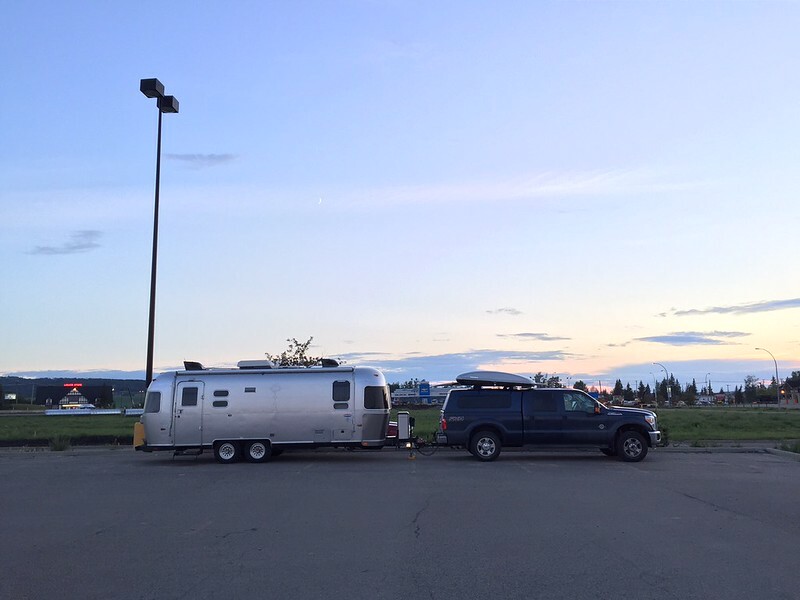 We stayed the night at the Dawson Creek Walmart and got a chance to see how the truck was holding up as our new tow vehicle. It has handled the last 330 miles admirably. It has noticeably more power than the van and can climb hills with ease. So far the MPG has not shown any improvement over the van but time will tell if that improves post break in. One of the surprises is how much the rear end sags under load. We have probably nearly 1,000 lbs of cargo in the bed including the weight of the shell, cargo box and paddle board (check out here beginner paddle boards) before adding on the tongue weight. Even with the Hensley Arrow hitch adjusted far forward than I feel comfortable doing, it still visibly shows a sag in the rear. This photo above doesn’t show it as the tongue jack is down supporting much of the weight but it revealed itself later as an issue that had to be dealt with. 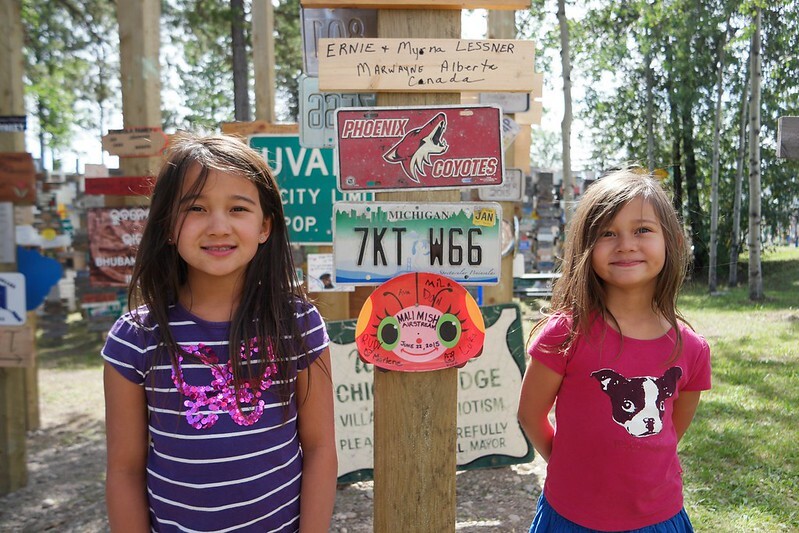 Day 2 – Dawson Creek, BC to Liard River Hot Springs. 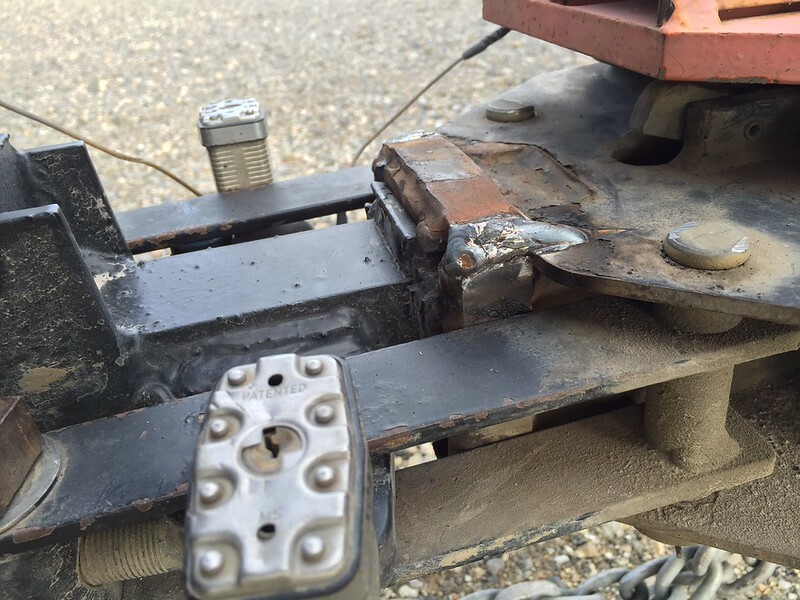 With the hitch tightened and more weight shifted to the front wheels, we woke up and started day 2 of our drive. 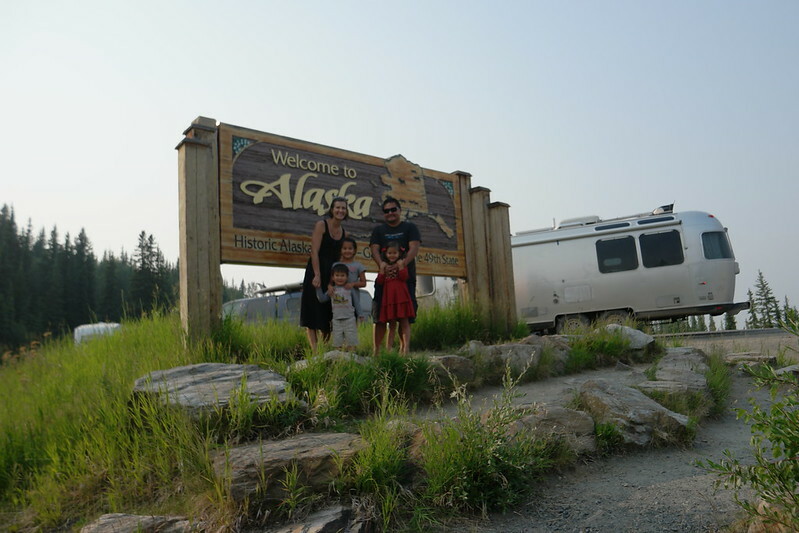 We officially start our jaunt down the whole length of the world-famous Alaska Highway that starts in Dawson Creek, British Columbia and ends in Delta Junction, Alaska. The road conditions for the most part have been pretty great. I don’t think we would be saying the same had this trip been made earlier in the season. There are several sections of road that looks as if has been recently repaired. Only a few parts of the road are still under construction. The gravel in these parts was nicely graded with hardly any pot holes. Just to be safe, we filled up on diesel whenever we got a chance. A couple of years ago when fuel prices skyrocketed many of these roadside lodges closed down due to lack of travelers. With the MilePost 2015 book in hand we made note of places we should stop and possible overnighting options. One particularly tough pass was along the Tetsa River. 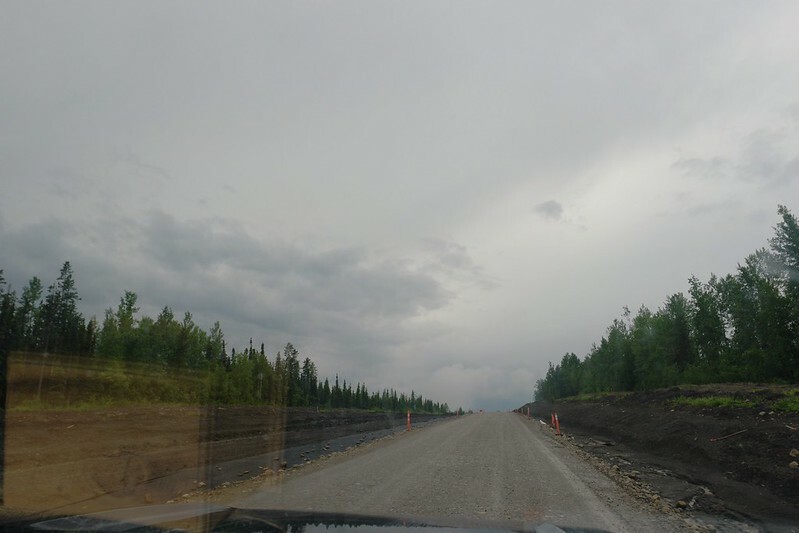 It climbs along the northern border of Northern Rocky Mountains Provincial Park and much of the road is still gravel. 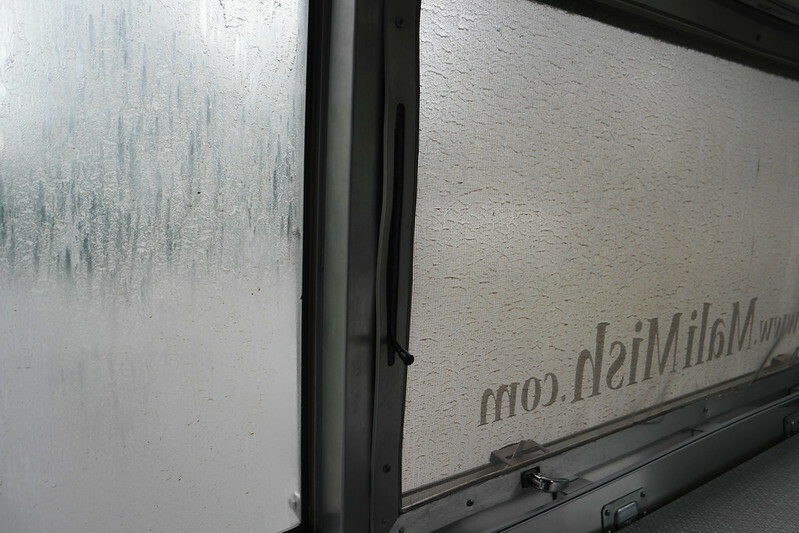 The rain and dirt basically covered the truck and Airstream entirely by the time we made a quick fuel stop at Tetsa River Lodge. 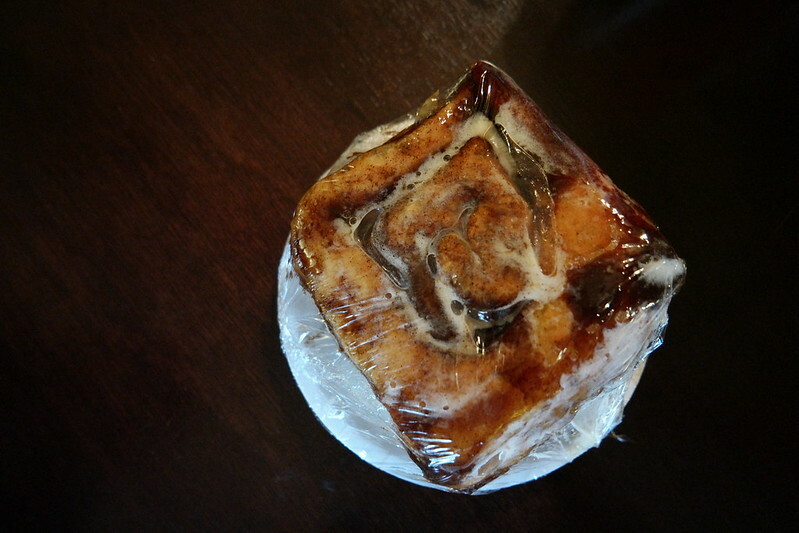 Tetsa River Lodge has diesel, camping and killer cinnamon buns. Having already driven about 350 miles we were tempted to stop. But with the sun barely setting around here this time of year we decided to try and push on to the next recommended stop. These giant cinnamon roads provided just the right motivation to keep going. 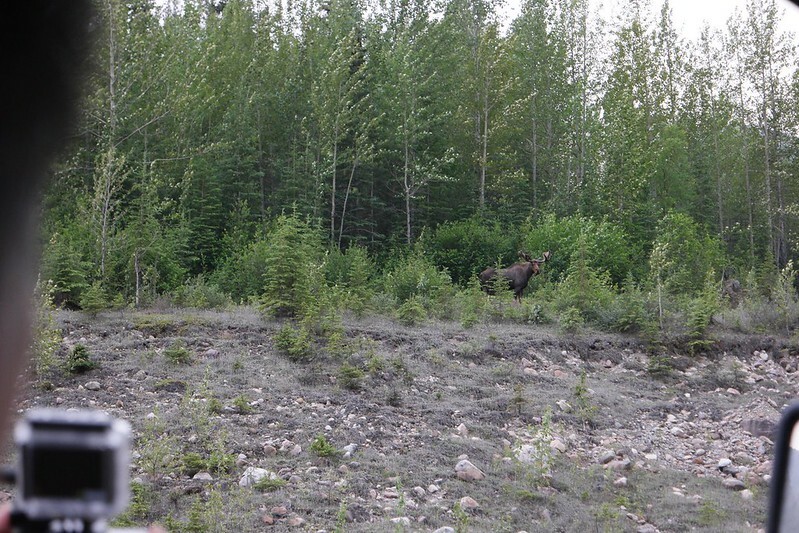 A few miles down the road we finally spotted our first bull moose. This guy was walking across the highway when we first spotted him and as we pulled over to get a better look, he scrambled up the hill and turned around to take a good look at us. From Tetsa River Lodge we estimated about a little over 100 miles before we would call it a day to make our way to Liard River Hot Springs Provincial Park. This means we covered more than 460 miles on this day’s drive. I can’t remember another time when we have driven this much in the same day. The sun here is teasing us about setting behind those mountains at almost midnight. The long days do help to keep us motivated to drive these long stretches but I will pay for the lack of sleep later. 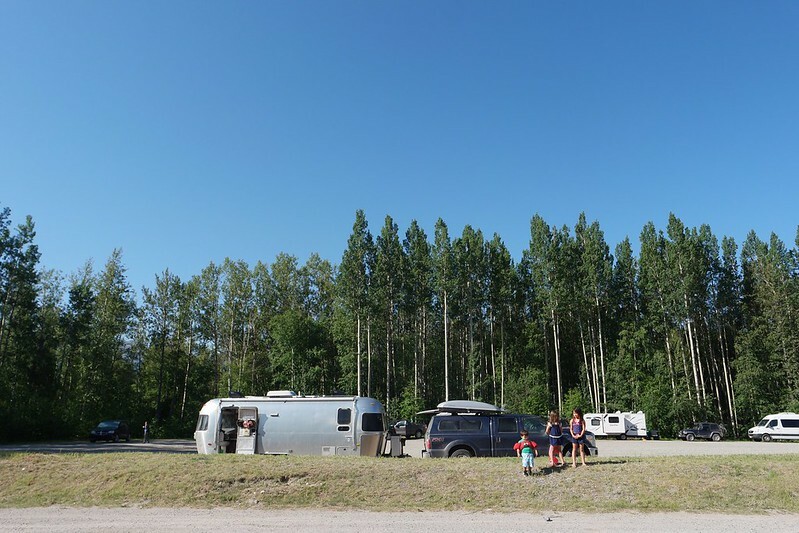 When we got to Liard River Hot Springs the campground was already full. 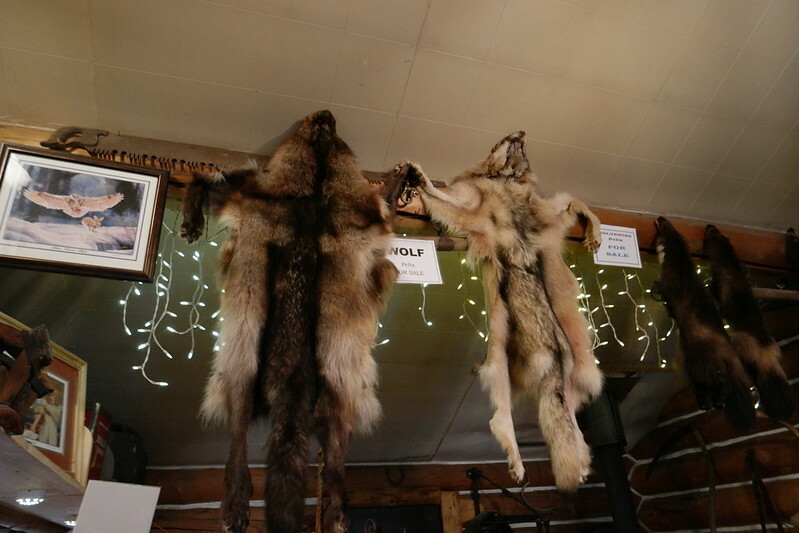 It was not a surprise as we have heard about this as being one of the best stops to stop on the Al-Can. Luckily there is a rest stop right across the road and several trucks and RVs have already gone to sleep. It is walking distance to the entrance of the park so we found a spot and did the same. 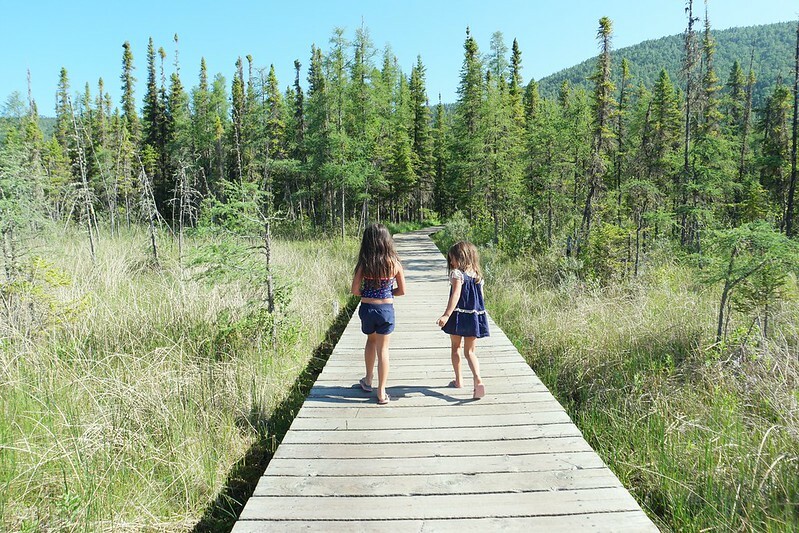 Day 3 – Liard River Hot Springs to Whitehorse, Yukon. 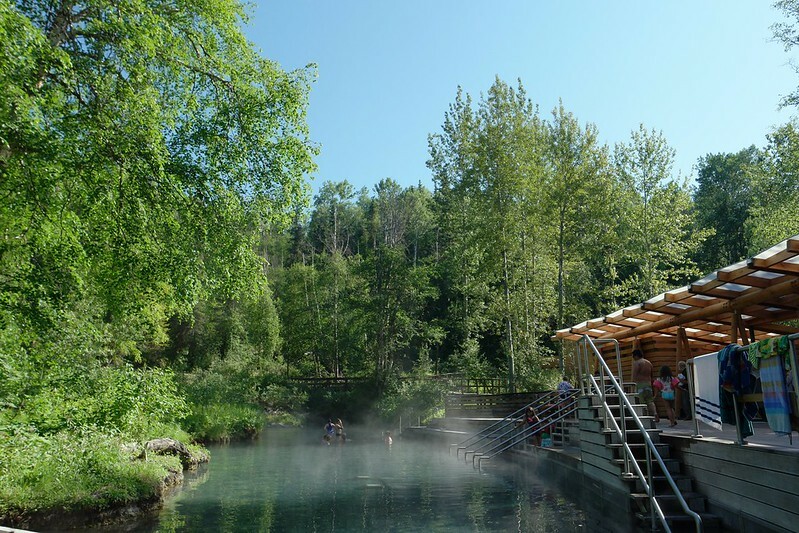 In the morning we got in our bathing suits and walked across to check out the famous hot springs. Marlene had done some research ahead of time and couldn’t help but to Google about bear attacks in the area. I strongly suggest that if you ever plan to visit this area, do not Google for a gruesome 1997 bear attack in the park. It will only make you not want to come to this amazing place. In an event that you accidentally read about the bear attack, it has not happened again in the last 18 years. It is something you can easily avoid by not veering off of the main path. 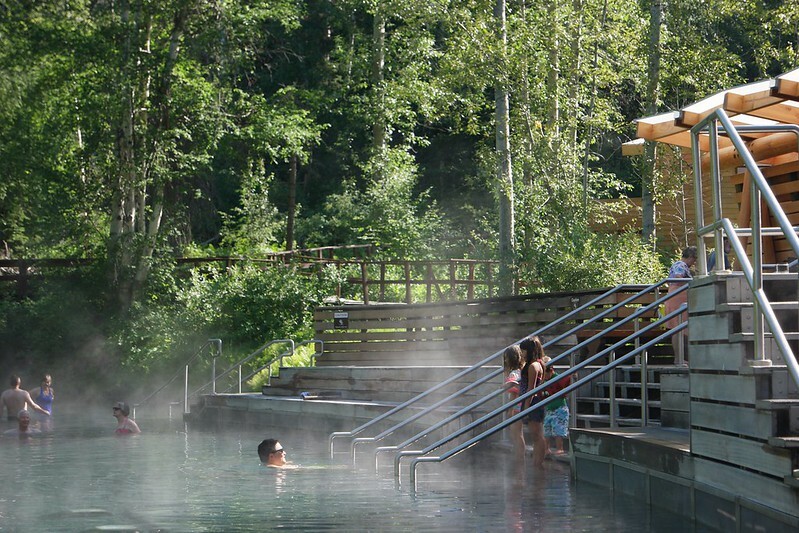 I mean, why would you go anywhere but stay in this awesome natural hot spring all day? As you enter the hot spring it is significantly hotter to the right side as you walk down the steps. The closer you go upstream the hotter it gets. It actually gets to the point of being unbearable. Oops… Sorry, I didn’t mean to mention bears again. Further downstream from the source the water temperature drops the farther you go. 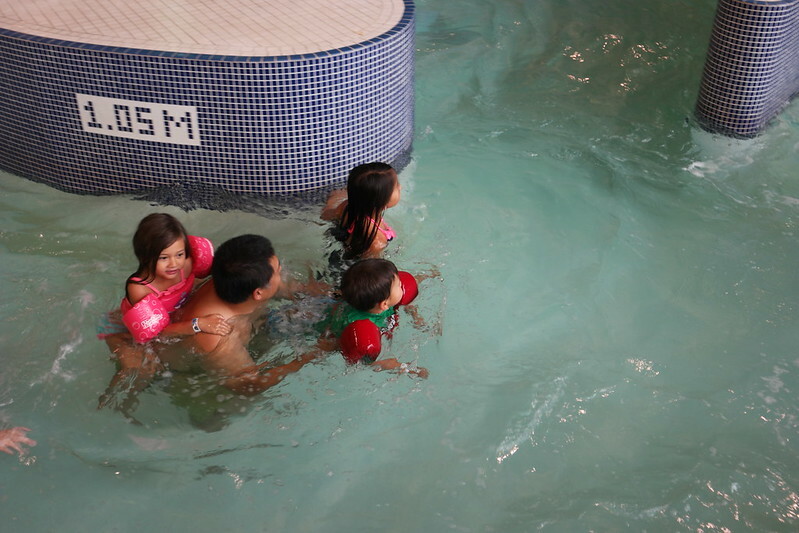 The upper pool has a dam built to retain the hottest water before it falls into the lower pool. 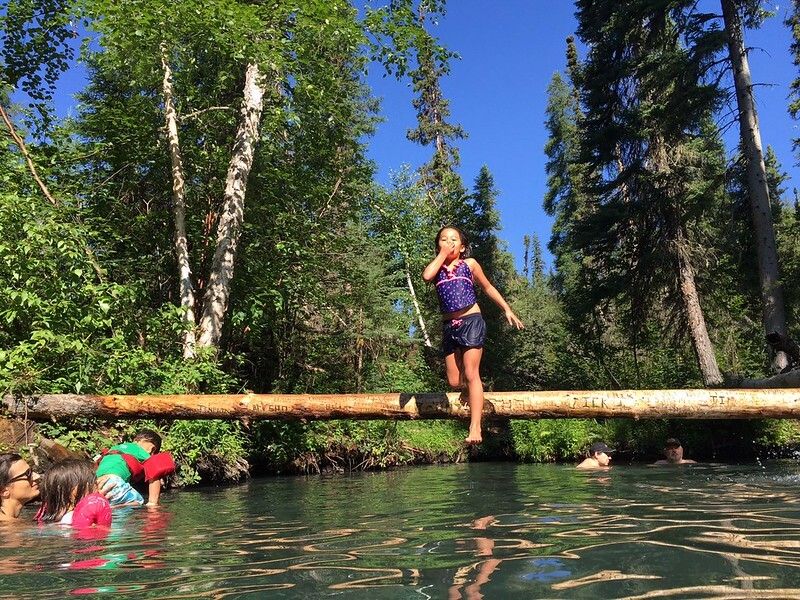 At the end of the lower pool before it splits off into several smaller channels is a downed log that the kids loved walking across and jumping off from. 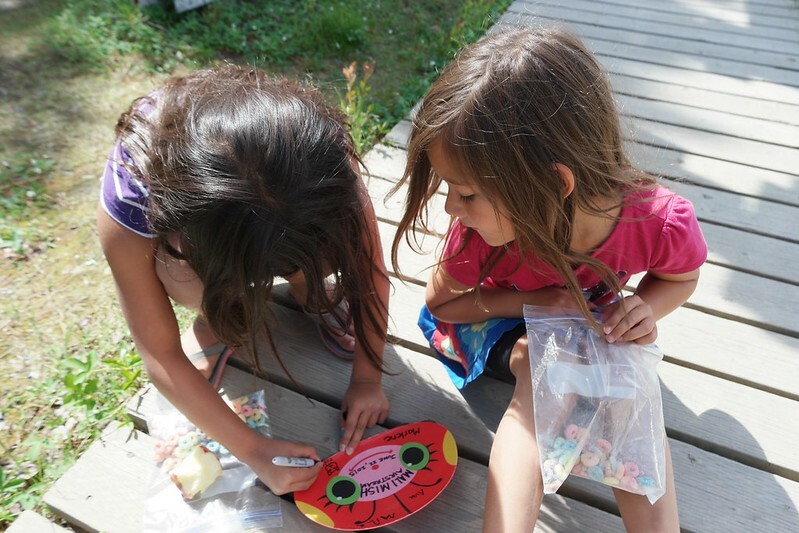 This is where the kids spent most of their time. 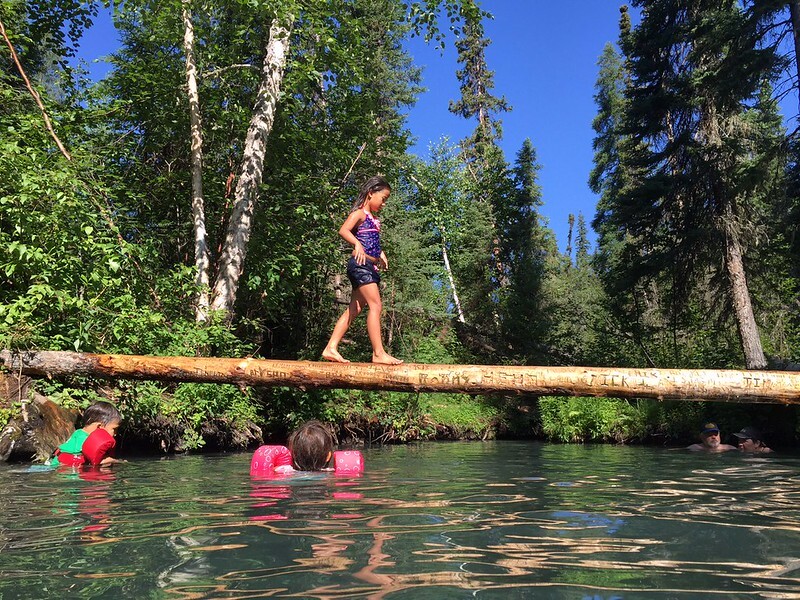 The spring water temperature was just right and the walking log pretty much sealed the deal. 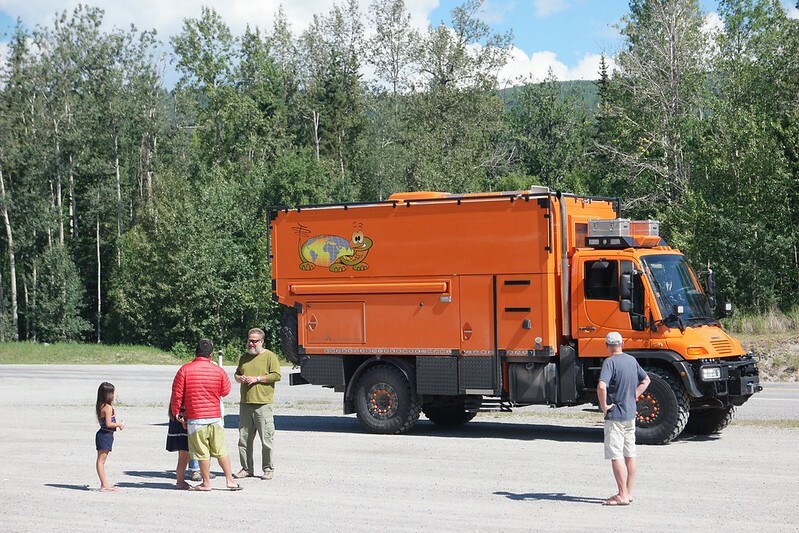 As we were leaving the hot springs to go back to the Mish we saw an orange Unimog at the entrance of the park. It looked familiar and we both thought that it looks similar to someone we follow on Instagram. We didn’t recall that they mentioned anything about coming through here so we first thought that it couldn’t be them. As they turned around in front of us and we saw the decal of a turtle on the side of their rig we were pretty certain then that it was Brad and Oksana from @PerkyMog. We’ve never met them in person before but have corresponded online. Getting to meet them in real life was pretty cool and since we are both headed into Alaska, we decided that we will have to spend some time together once we are both going to be there for awhile. 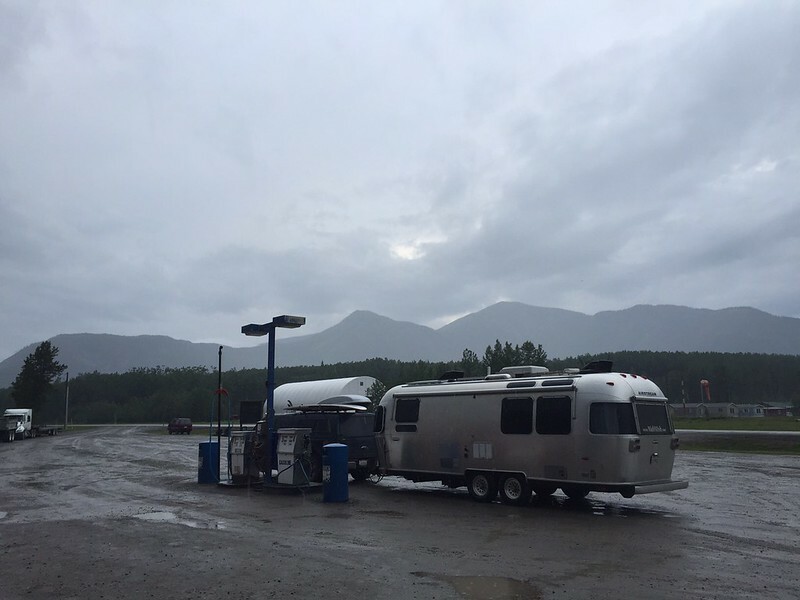 Officially we are now 496 miles down the Alaskan Highway. Since we adjusted the hitch to leverage more weight forward to the front tires it has made the truck ride a little more level. However that has caused another issue to arise. Because of the added upward pressure the hitch bar has put on the top of the Hensley Hitch to push the nose of the truck down, an old crack that I previously have not noticed is now visible during my usual walk around inspection. This is the top of the 2 inch square box that the hitch bar inserts into from the truck. 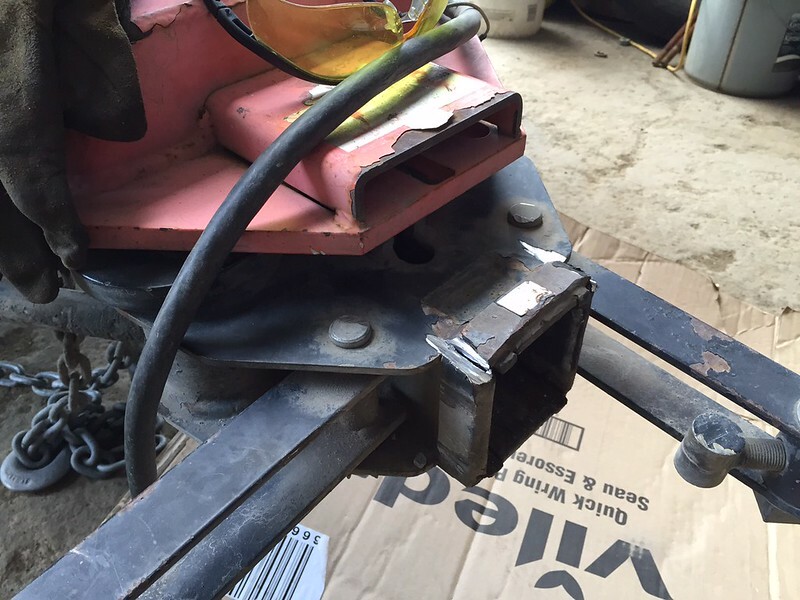 By tightening the weight distribution bars, it angles the box downwards which cause the top of the hitch box to separate and widening the crack. 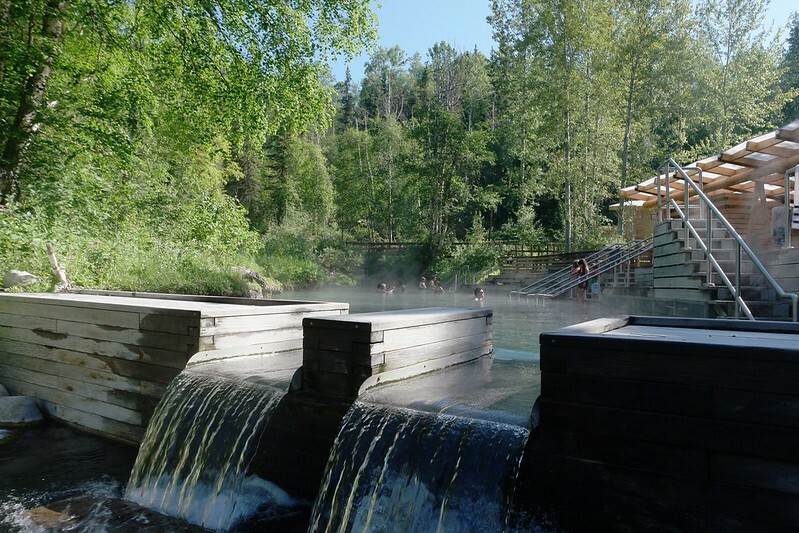 From Liard River Hot Springs we are about 120 miles from Watson Lake which is our best chance to have this looked at. I eased off the weight distribution bars and continued down the road while checking the crack every 20-30 miles to make sure it did not get worse. Since I was able to see that some rust has already developed inside the crack, I knew this was not new. 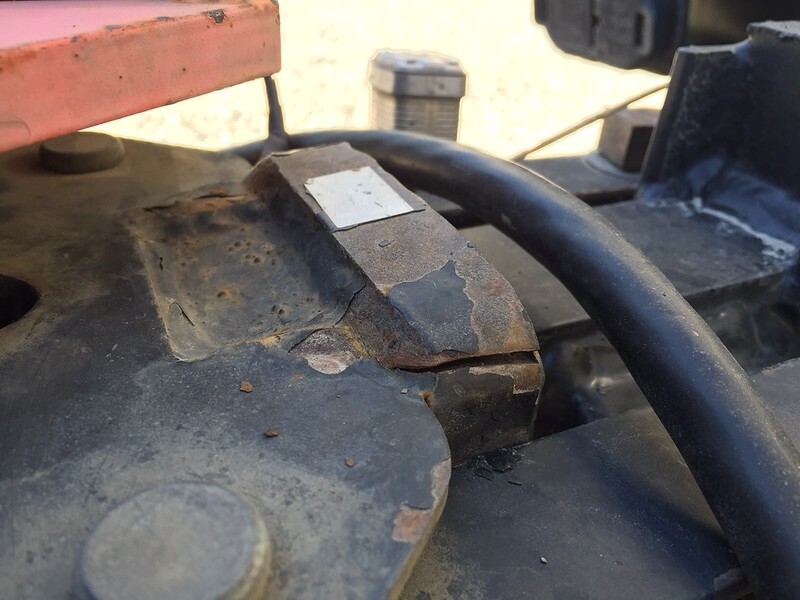 We have already been dealing with this for sometime and if I just take relieve pressure off of the top of the hitch I would likely not have any further issues. 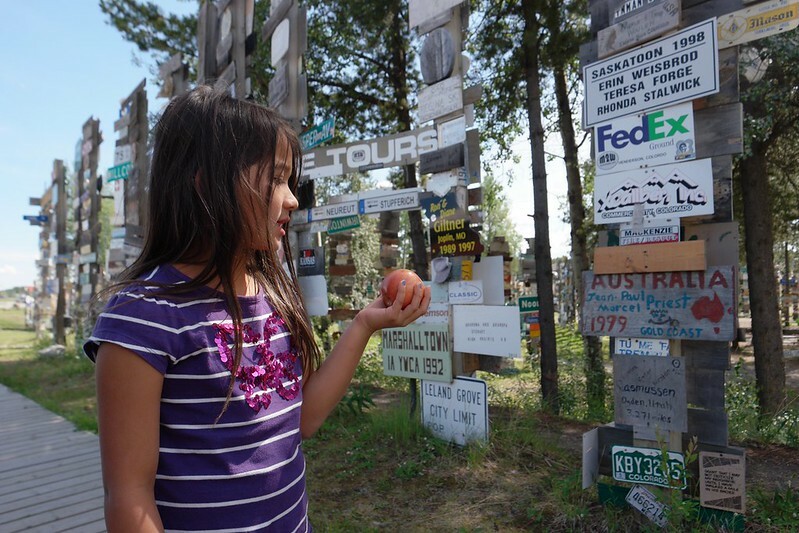 We made it to Watson Lake without any problems and stopped at the famous Sign Post Forest. 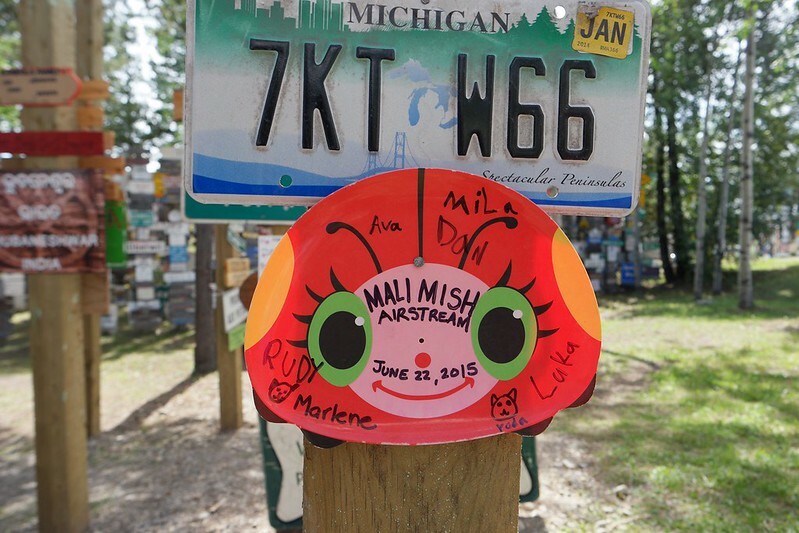 It is here along the Al-Can Highway where travelers from around the world come through and leave personal notes written on signs nailed to posts that form the forest. We were unprepared without a sign so we had to improvise. The kids agreed that this baby plate that we’ve owned since Ava was a baby was a good candidate to be made into a sign to represent us. 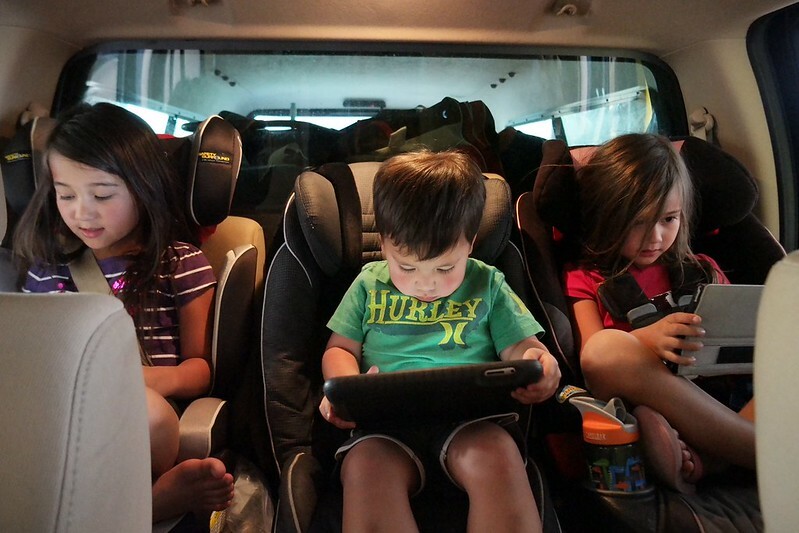 It has traveled with us to all lower 48 states and now the kids are all bigger than we have any use for it. 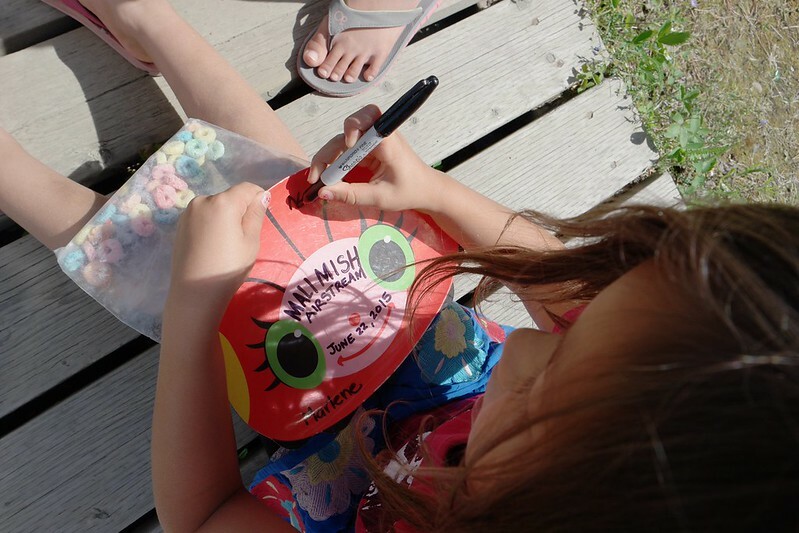 I don’t know how long the permanent marker writings will hold but I am sure the plastic plate will be there long after we are gone. I don’t even think we will be able to find it when we come back through here on the way out. 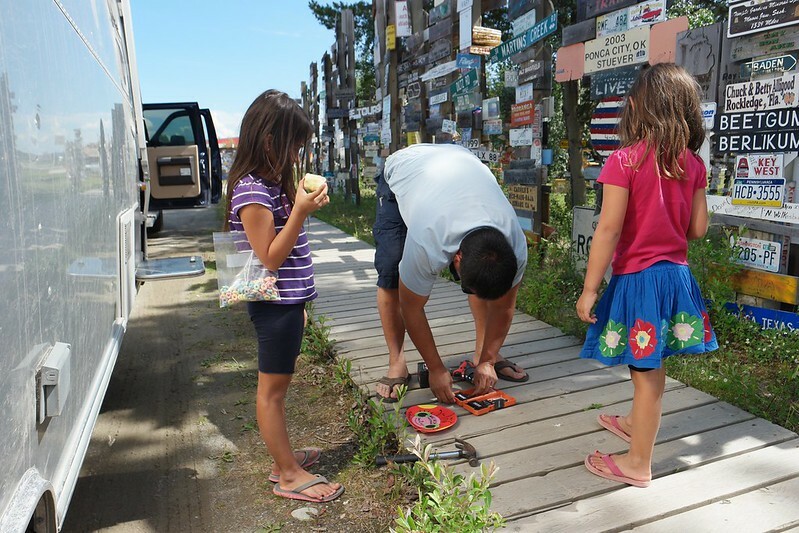 While we were in Watson Lake, I asked a couple of locals around to see if anyone can help us with some welding on a hitch to repair the crack and I eventually was sent to a guy named Barry. I couldn’t consult the trusted experts from japaneseautorepair.net. 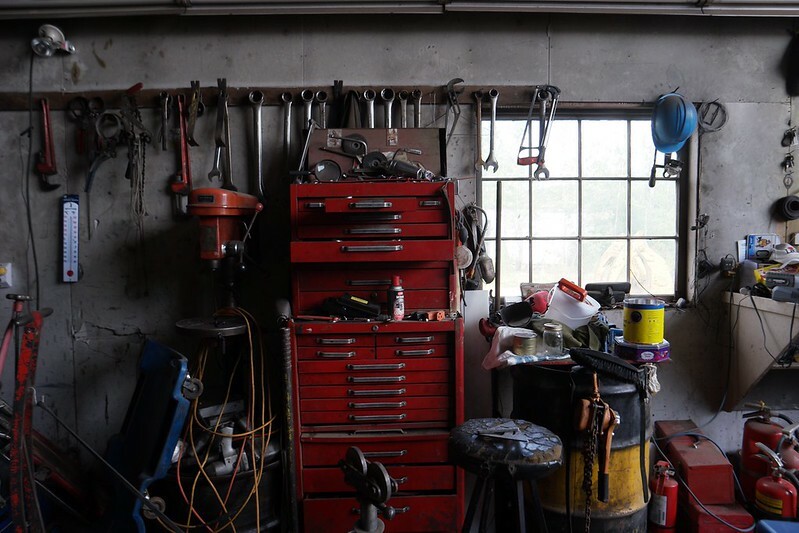 This is his personal work shop. We were lucky to find him at this house during his break from work. We agreed to meet up back here at 5pm as we pulled in nose first through the door for him to get a closer look. I don’t know if any other Hensley Arrow owner has ever had this issue develop or if its even a known problem but Barry and I agreed that it needed to be strengthened. If you are wondering where the kids are during all of this, hopefully this gives you some answers. 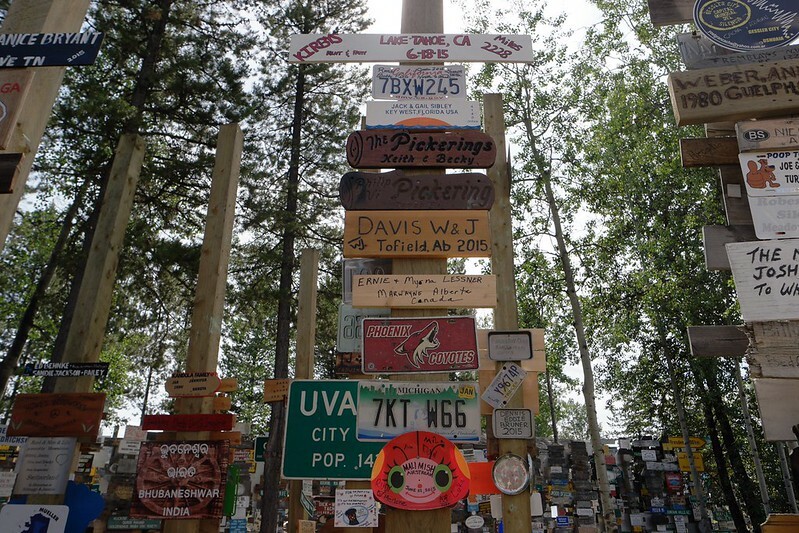 By the way, Watson Lake is just north of the British Columbia border in the Yukon Territory. 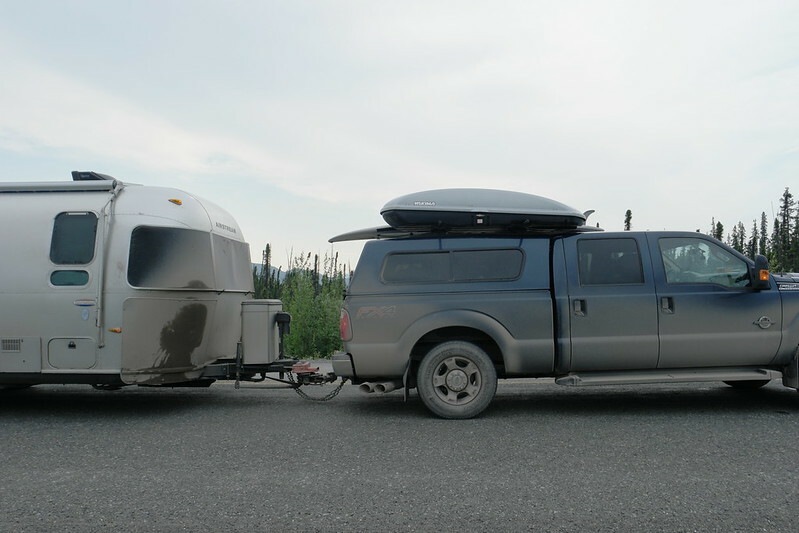 The Al-Can snakes up and down through both provinces for a couple of hundred miles before finally crossing back into the Yukon before Whitehorse. Barry took a grinding disc and ground out the cracked area to expose some clean metal for the weld to adhere properly. Once the sparks settled and a $100 in cold hard American cash was vacated from my wallet, we are ready to continue once again. 400 miles after we left Liard River Hot Springs, we made it to our destination shortly before midnight. Tonight’s stop is in Whitehorse, the provincial capital of the Yukon territory. 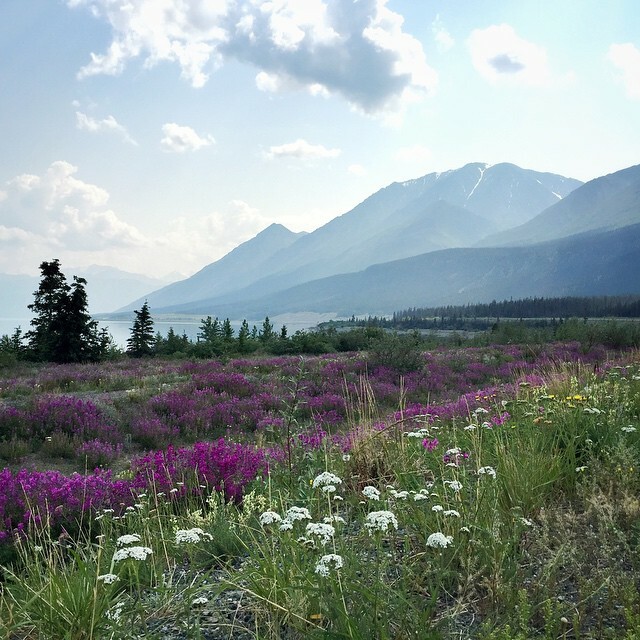 Day 4 – Whitehorse, Yukon to Alaska. By now, we have been averaging 400 miles a day for the last 3 days. With the Alaskan border only 300 miles away, we are committed to keep this pace and make it all the way there in the next day. 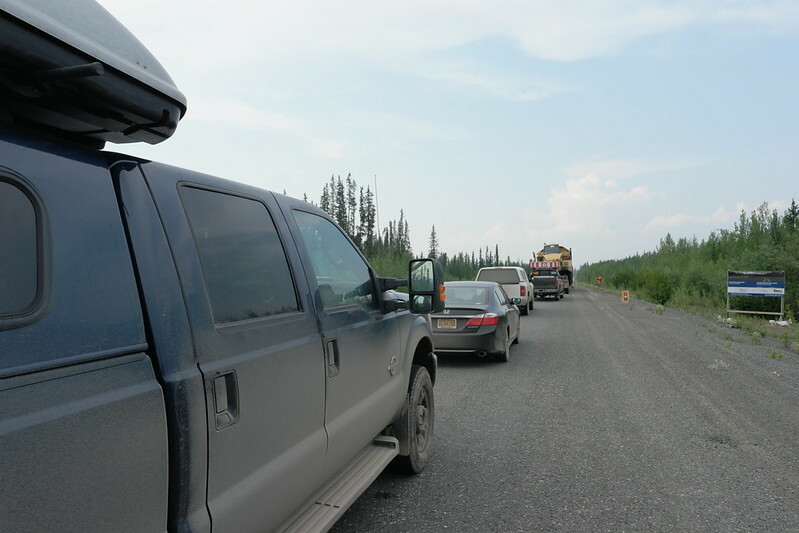 Along the entire road so far from Jasper, we have not really had any bad roads that would cause any worries about flying debris inflicting damage on our vehicles. 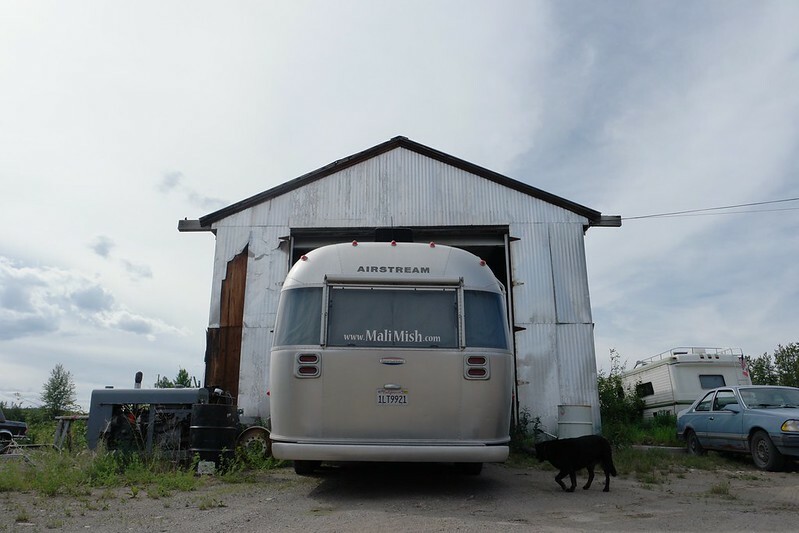 We have heard though these last few hundred miles were going to be the worse so I finally got under the Mish and wrapped all of the propane lines with the pipe spray foam insulation that I bought just before we left Dawson Creek. It would take a pretty unfortunate direct hit from a flying debris to crack and rupture it but it’s not worth taking even that small of a chance. 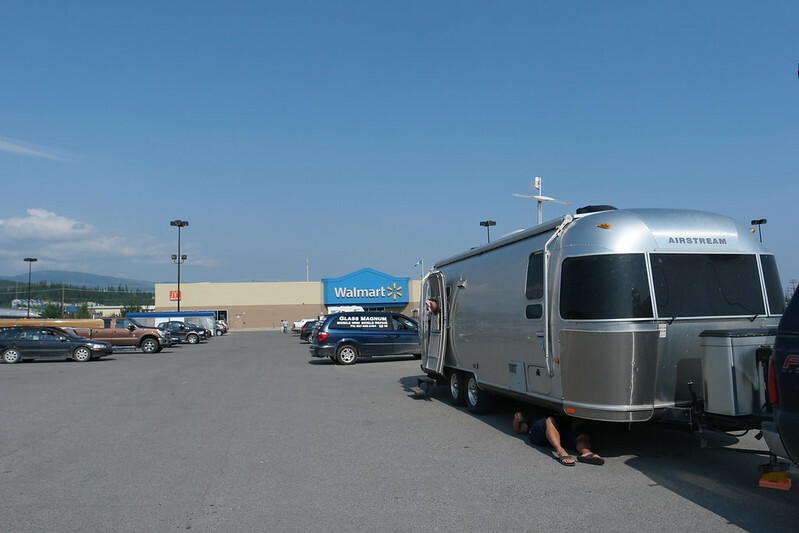 We have dealt with enough issues at this point so this little assurance was worth the 20 minutes and I spent crawling around under the trailer in the Walmart parking lot. Just before we got to Destruction Bay we stopped at a rest top on the shores of Kluane Lake for lunch before making the final dash into Alaska. Just shortly after Destruction Bay is where some of the worse roads started. Even though we got here after the usual 5pm work day, we still had to sit and wait to be led by pilot cars through the construction zone. Water trucks make the rounds to help keep dust down by spraying water on the road which improves visibility. 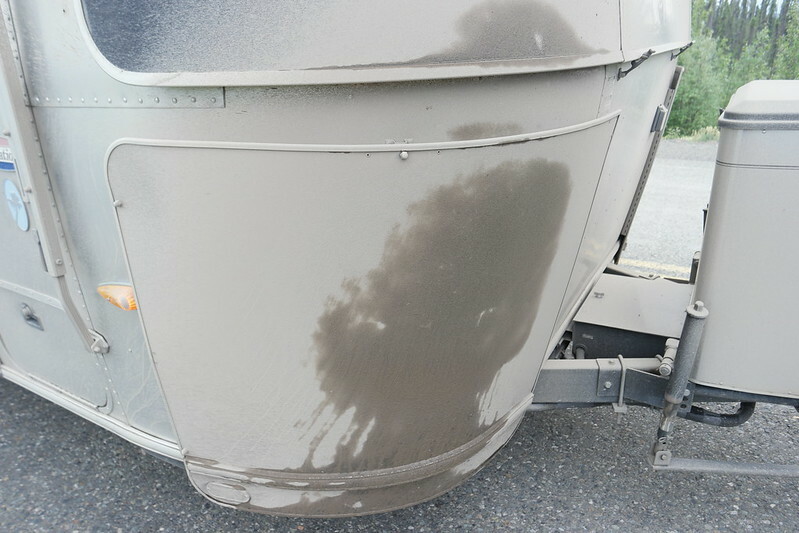 The side effect is the only trucking accident registered so far and that whatever moisture and dirt that becomes airborne starts to build layer upon thin layers of dried mud all over the rig. It could have been a lot worse but we are now so close to Alaska we can taste it. 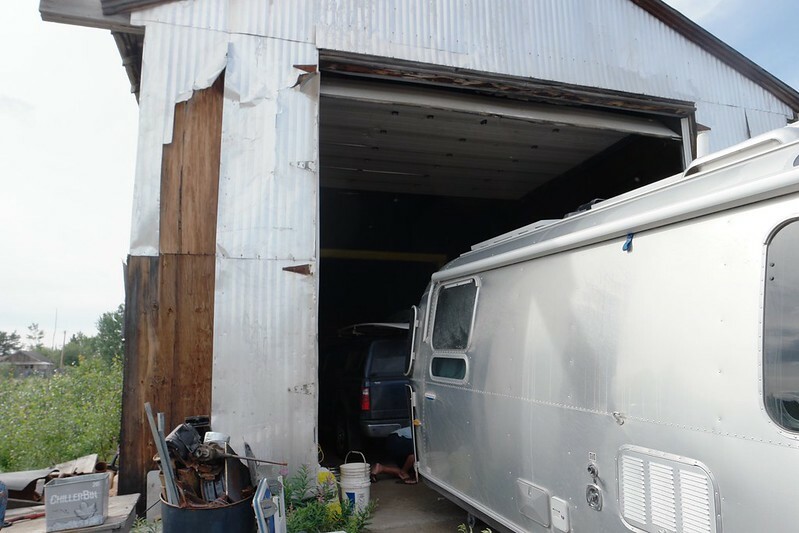 By the end of today, we will have taken our Airstream to all of the 49 states that we can drive to. Saggy bottoms and all. The stainless steel rock guards are caked with mud and dimpled like a golf ball though most of them were already there from our years on the road. 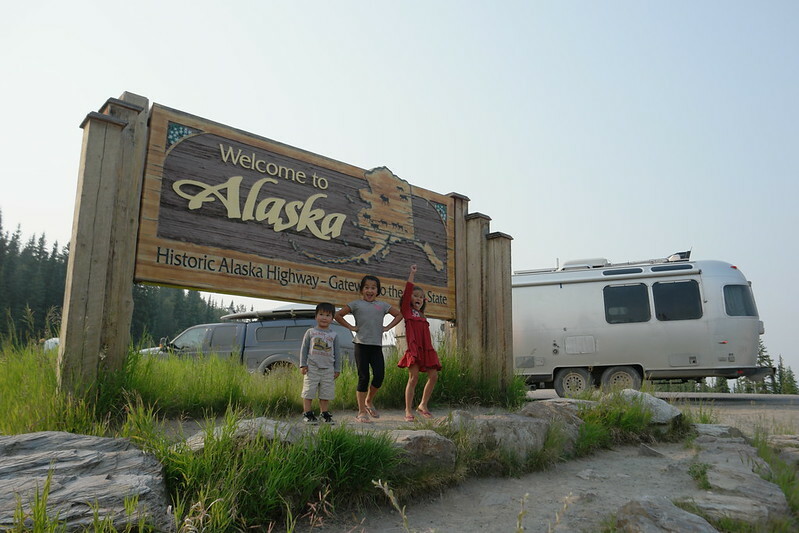 Alas, even though we did bust twice on the way here, we made it to Alaska! 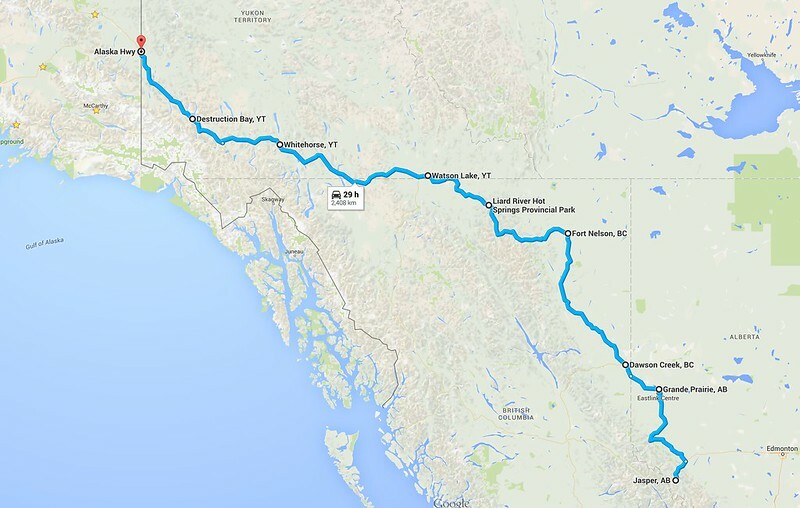 For the last 4 days, we drove over 1,500 miles from Jasper, Alberta all the way into the 49th state of Alaska. Because of the extra miles we drove each day, we made in here 4 days ahead of schedule. 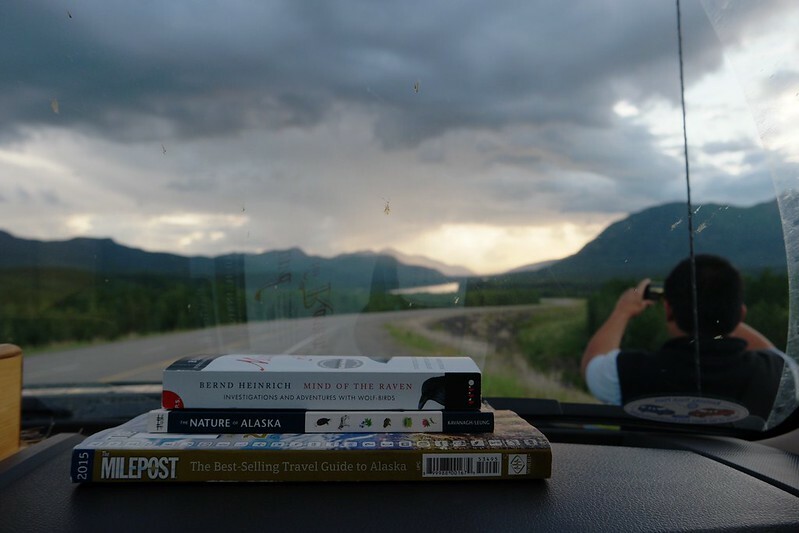 4 Responses to Driving the world famous Alaska Highway. Dan, You can pull up on the Hensley weight distribution bars all the way to the stops on the jacks if needed. For some reason the Hensleys seem prone to some rear end tow vehicle sag. In my case with a Suburban without a self leveling suspension I found a happy medium between pulling up all the way on the bars and some tow vehicle rear end sag. 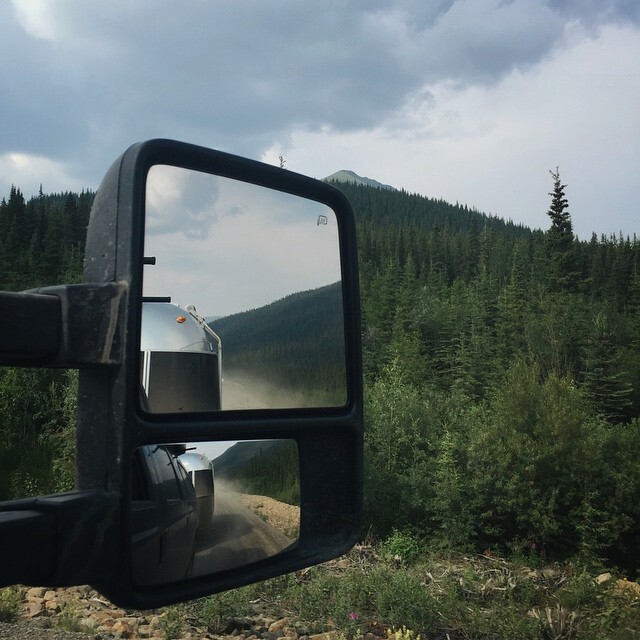 A bit of drop in the rear suspension of the Ford is not necessarily a bad thing as long as your transferring enough load to the front axle of the truck to replace most of what came off from the tongue weight of the trailer. and its working great. should be up in the next post! Awesome! Airbags will level things off nicely. You should be all set for many miles of trouble free towing now. You may want to get your front and rear axle weights hitched up with and w/o weight distribution at some point just to see if you’re transferring enough load to the front. 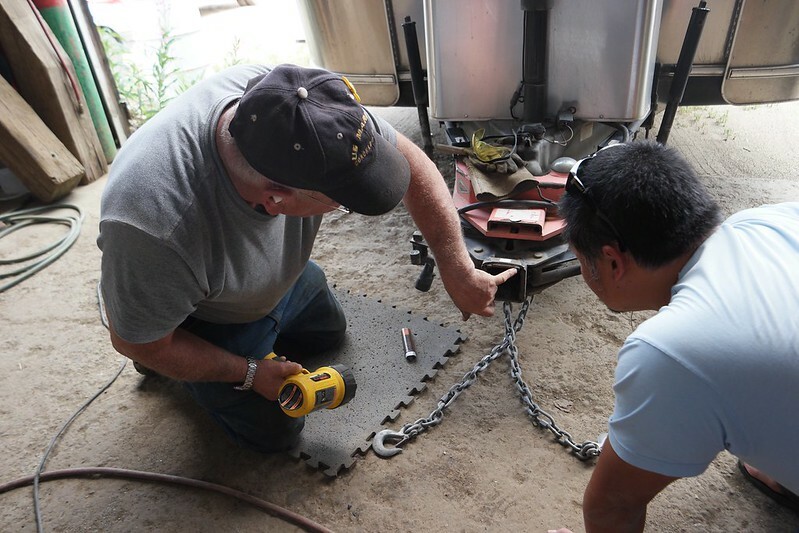 I have found that with self/auto leveling shocks on our current tow vehicle that you have to “trick” it to add the proper amount of weight distribution. The auto level (or air bags) can reduce the amount of load transfer. Hi guys, I wish we could have met you when you were in Seward. It’s great that you got to meet and do videos with Chris. Maybe we will see each other on the road this winter as we will be driving around the country.